Whats the best way of attaching rigs to leaders? my rigs have swivels so assume its either clips or split rings on the leader end.............which is best??. In this case it dosnt realy matter which you use,, clip or split ring, as long as you incorpriate a swivel in between the two. 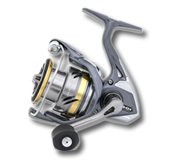 Its the swivel that stops the line from twisting right the way up to the reel and causing coils if your useing a fixed spool reel and contorted line strain if its a multiplying reel. You must also use a swivel attatched to your hook length to stop the same thing happening here. As all fish will twist and turn causing the line to break.